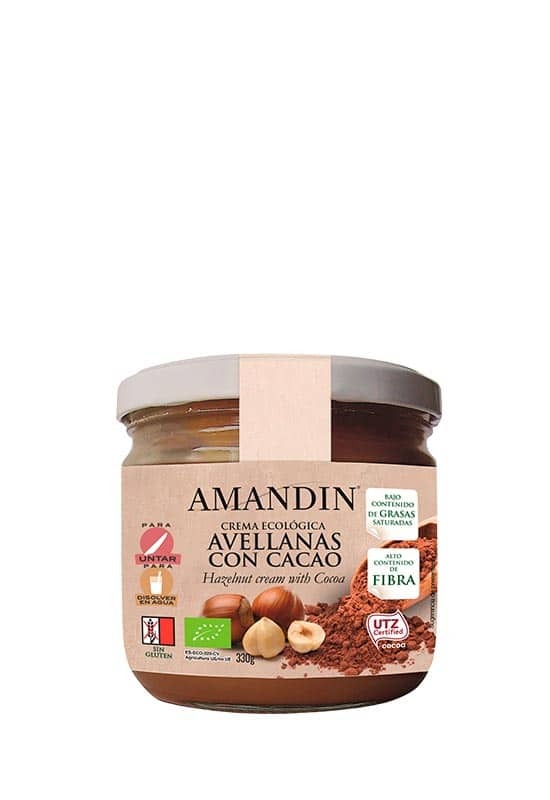 You won’t be able to resist new Amandín hazelnut cream with cocoa. It’s the perfect combination of nuts and irresistible cocoa to make your breakfasts and snacks fun. What’s more, it’s made with UTZ certified cocoa, guaranteeing that this ingredient is sustainably grown and environment-friendly. Find out more about this interesting project run by UTZ through this link. And if you like cooking, you can make some incredible recipes. Visit www.recetas.amandin.com and start preparing tarts, sponge cakes, ice creams and more. Hazelnut cream with cocoa is made from top-quality organically-grown ingredients and is low in saturated fats to help you take maximum care over what you eat. It contains no cane sugar, being sweetened with rice syrup, nor does it contain palm oil. It’s also gluten free. You can buy it at your usual shop in a practical 330g jar. 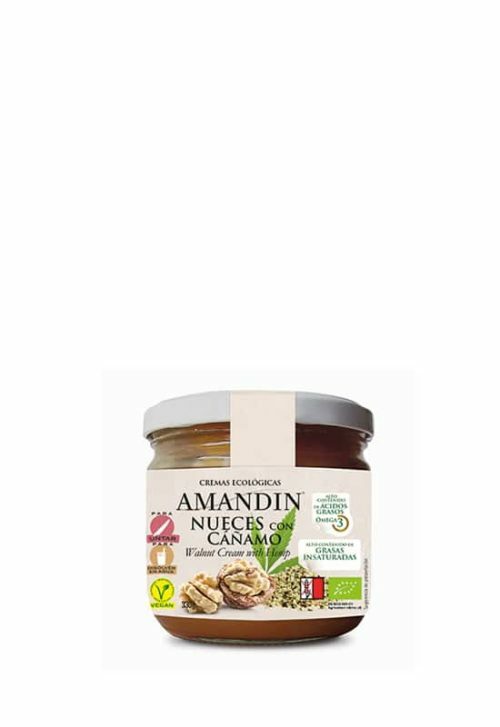 Ingredients: Rice syrup*, water, hazelnuts* (20%), cocoa* (3%), stabiliser (pectins), tapioca starch*, natural flavouring, thickeners (xanthan gum, guar gum, gum arabic).